Do You Enjoy Writing Wicked? Every hero needs a villain. Remember the cardboard cutout dastardly villain who squeezed his handle bar mustache between his fingers while tying the damsel in distress to the railroad tracks. Those days are over. If you are a writer and you have a great hero, there is one thing that you need; an even GREATER villain. Today’s readers and audiences don’t expect a bad guy who is all brawn and no brains. They want a villain who challenges our hero and defeats him time and time again. This allows you to build tension. Readers want a cunning evil doer who is always two steps ahead of our protagonist. Think of The Joker (the Heath Ledger version of course) in The Dark Knight, constantly outwitting everyone including Batman. 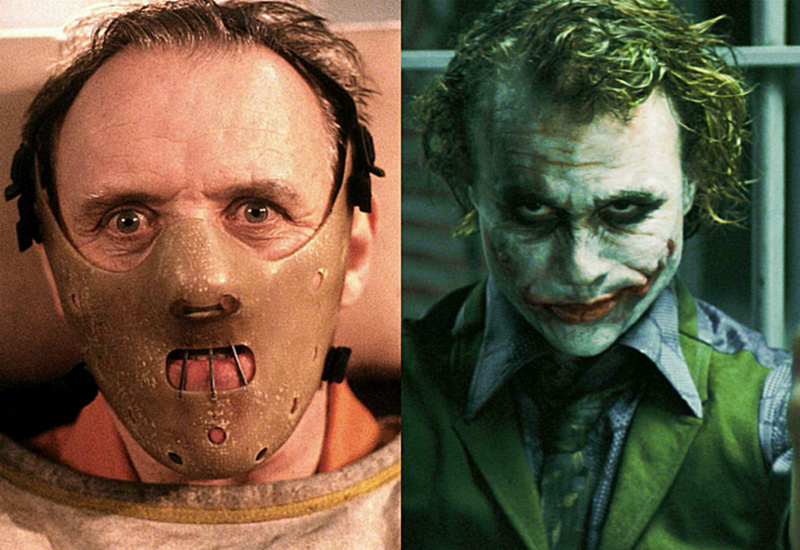 Hannibal Lecter “quid pro quo” demands of Clarice Starling; before he led her to a serial killer (Buffalo Bill) she so desperately needed to stop, all the while planning his bold escape from prison. Each absolutely brilliant yet controlled by their psychopathic minds. To strengthen your story, give your villain a justified reason to be evil. In my yet to be published sci-fi novel, Paradox, Mabus (villain) witnessed the slaughter of his family, now he overprotects his kingdom (his new family). Want to create more tension? Give the antagonist motivations and goals that conflict with your hero’s needs. Let them clash. The protagonist/antagonist opposing needs will provide conflict throughout your story slowly building to a page turning epic battle. Yeah, this chimp loves creating antagonists and their evil deeds.